Sound is all around us! Mrs. Dillon’s class wanted to investigate sound and where it comes from! All sounds are made through vibrations. These vibrations are carried through the air by particles until they reach our ears. These vibrations are called sound waves. 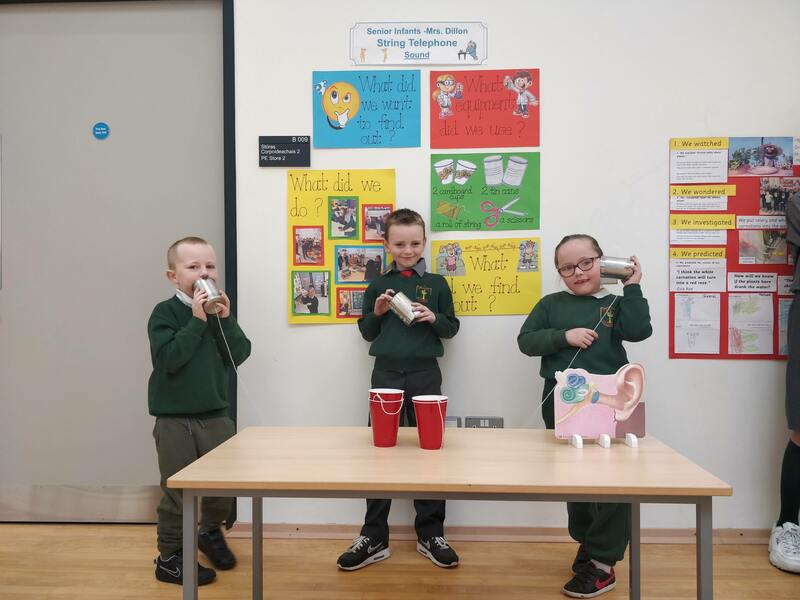 We hear sounds through our ears, when the sound enters our ears they make our eardrum vibrate and this sends sounds to our brains. The class were fascinated by this and eager to test this our. 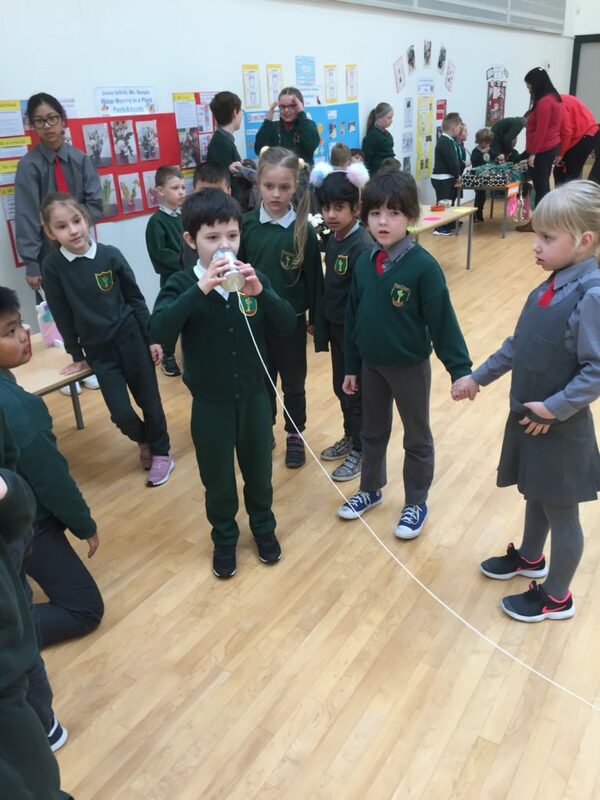 We experimented with sound waves by making our own string telephones. We used tin cans and string. We made holes in the cans and threaded the string through the holes of and tied it. Then we pulled the string tight. Now we wanted to see if we could make the sound travel! One person held a can up to their ear and another person spoke into the can on the opposite end. The sound travelled along the string to the other person. 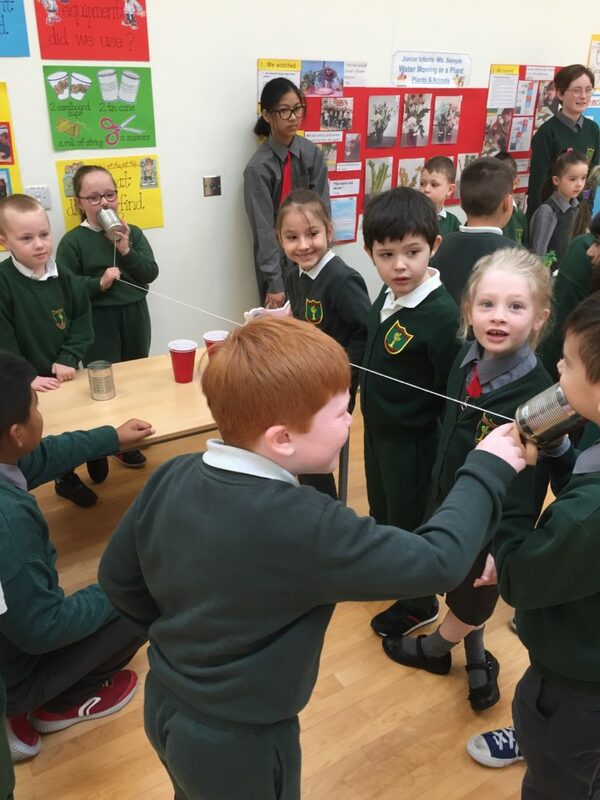 We then wanted to see if it worked when the string between the two cans was loose, so we let the string hang down and repeated our experiment. When we did this it didn’t work as well. When we discussed it we figured out that it was because the vibrations couldn’t travel along a loose string as we couldn’t hear our friends as clearly as we could when the string was tight.